1. Rising to 20,320 feet, Mt. McKinley is the highest peak in the United States. Locally, it is known as Denali, which means “Great One” in Athabascan, the native language. 2. Alaska is home to 17 of the tallest 20 mountains in the U.S.
3. When the sun rises in Barrow, Alaska on May 10, it does not set until August 2, providing 84 days of continuous sunlight. Conversely, when the sun sets in Barrow on November 18th, there are 67 days of darkness before the sun rises again January 24th. 4. Alaska is the United States’ northernmost, westernmost and easternmost state. While most Americans ready identify Alaska as the most northern and western state, it also contains the U.S.’s easternmost point by longitude. 5. Pochnoi Point, Semisopochnoi Island – at the end of Alaska’s Aleutian Island chain — stretches across the 180º line of Longitude into the Eastern Hemisphere, making it the easternmost point in the U.S.
6. 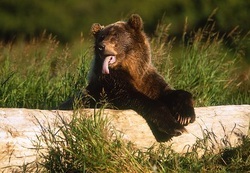 Kodiak is Alaska’s largest island and home to the world’s largest bear species — Kodiak brown bears — the only scientifically recognized subspecies of brown bear. 8. The world’s greatest concentration of American bald eagles is found near Haines, Alaska. 9. Haines is home of the unique Hammer Museum, showcasing more than 1,500 hammers. 10. While many movies set in Alaska are not actually filmed in the state, the 1991 Disney movie White Fangstarring Ethan Hawke was filmed in and around Haines, Alaska. 11. During WWII, President Roosevelt authorized construction of a highway between Dawson Creek, British Columbia and Fairbanks, Alaska. The “Alcan” was needed to provide a supply route to U.S. military bases in Alaska which were threatened by Japanese forces. Using 10,000 troops and 6000 civilians, the 1,520 mile long highway was completed in 8 months and 12 days. Mr. Jones’ father was in the military contingent that built the Alcan, known today as the Alaska Highway. North Pole, Alaska is home to this giant Santa. 12. Although the community is located 1,700 miles south of the Earth’s geographic North Pole, North Pole, Alaska, is home of the world’s largest fiberglass Santa . Located 14 miles from Fairbanks, North Pole is a community of 2,200 people with candy cane street lights and green &white police cars. A former trading post is now Santa Claus House, a gift shop specializing in all things Christmas. 13. 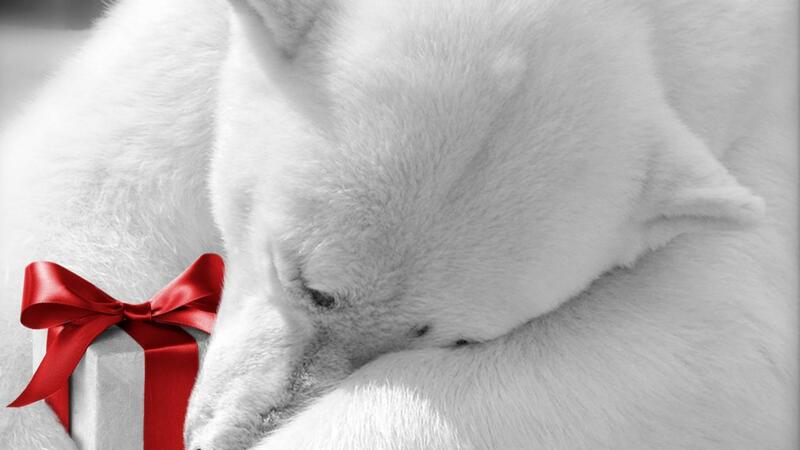 Each December, the North Pole, AK Post Office receives hundreds of thousands of letters to Santa Claus. It advertises 99705 as the ZIP code of Santa. 14. Juneau, Alaska’s state capital was named for gold prospector Joe Juneau. 15. The first white settlers in Alaska came from Russia. When Alaska belonged to Russia, Sitka was its capital. 16. Alaska’s closest point to Russia is Little Diomede Island, located in the Bering Strait between the Alaska mainland and Siberia. Big Diomede, Russia is only 2.4 miles from Little Diomede, Alaska. 17. A 9.2 magnitude earthquake struck south-central Alaska on Good Friday, March 27, 1964. Lasting nearly four minutes, it is the second largest earthquake in recorded history. Anchorage and surrounding areas suffered ground fissures, collapsed buildings, and tsunamis resulted in more than 130 deaths. 18. Only 20 percent of Alaska is accessible by road. Despite a land mass of 586,412 square miles, Alaska has only 12 numbered highways, Alaska Routes 1-11 and 98. 19. Alaska has the highest number of pilots per capita of any U.S. state: 1 out of every 78 Alaska residents were pilots in a 2005 survey. 20. Numbering more than 100,000, Alaska has half of the world’s glaciers. The state’s largest glacier, Malaspina, covers 850 square miles, roughly the size of Rhode Island. Alaska is nearly as large as the rest of the contiential U.S. Map . 21. 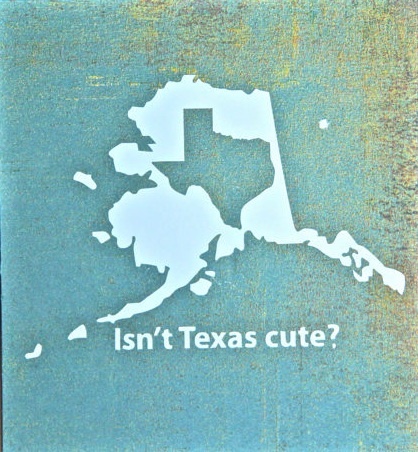 Alaska is more than twice the size of Texas, the next the largest state. Alaska is larger than the combined area of the 22 smallest U.S. states, yet the state is home to only 710,231 people, according to the 2010 Census. 22. Alaska has the lowest individual tax burden in the United States, collecting neither state sales tax nor personal income tax. 89 municipalities do collect a local sales tax and/or tax specific items such as liquor and tobacco.